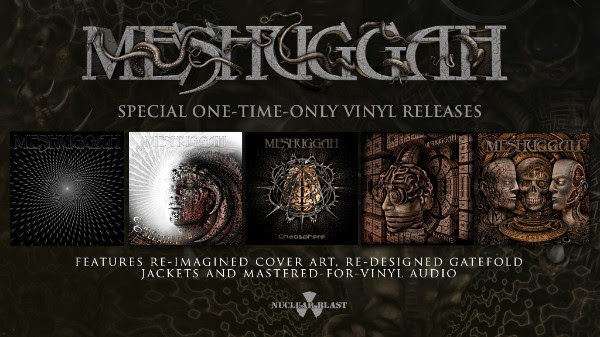 While the term “genre-defining” gets tossed around quite frequently these days in the music industry, and most especially the heavy metal industry, it is truly the only proper term to align with the head expanding sounds created by MESHUGGAH. The band began it’s formation in Sweden in 1987. With over 25 years and 8 full length albums as masters in this realm, the band have been on an endless journey to outwardly reveal their uncommon sonic stamp. This greatly pertains to the musical precision required in order to create songs with such unique time signatures. In 1989 the band’s vestal voyage began with their self titled release that was limited to only 1,000 copies and completely sold out. In 1991 with the release of their first full length album Contradictions Collapse the band welcomed their new drummer, and the man that would eventually be dubbed “the best drummer alive;” the incredible Tomas Haake. Their 1995 album Destroy, Erase, Improve, and the release of Chaosphere in 1998 gained massive attention and really pushed the band into the popular heavy metal touring circuit. Things progressed more and more until the release of their 2002 album Nothing which would go on to sell over 110,000 copies in the United States. As the years and albums progressed a term describing the band’s progressive music style; “djent” emerged to solidify their genre defining nature. In 2005 they released Catch Thirtythree which perplexed and delighted many fans and critics as a 47 minute-long “uni-song” that genuinely required patience and attention to detail. A few years later in 2008, obZen made it’s way into the world alongside a stunning music video for the single “Bleed.” obZen sold over 82,000 copies in the US, alone. 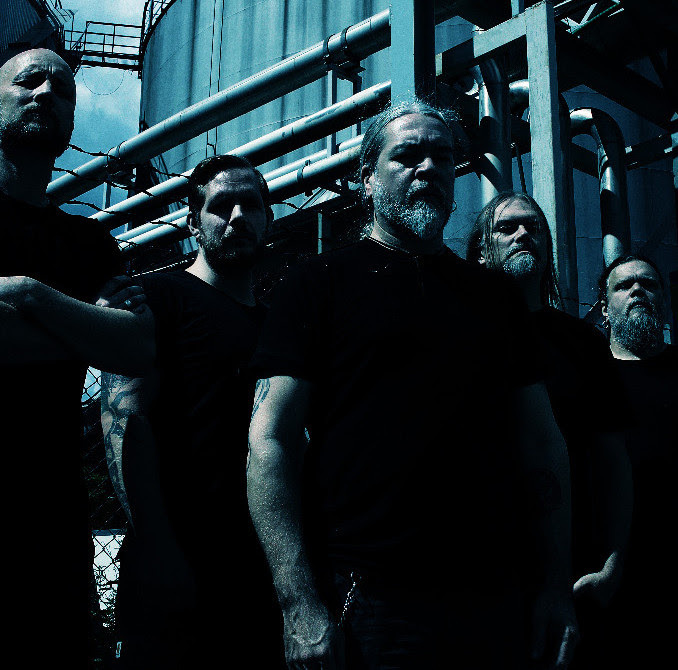 In 2012, the 10-track record Koloss was reveled and made its way to the top 20 of the Billboard top 200, re-demonstrating once again, the exclusive talents held only by MESHUGGAH. In the time between Koloss and the release of their 8th full length studio album The Violent Sleep of Reason, to celebrate the 25th anniversary of the band’s debut studio album, the idea was born to let creative genius Keerych Luminokaya redesign each album cover with a new sense of style (Luminokaya began creating artwork for the band with their 2012 release of KOLOSS, and has continued working closely with them by providing artwork for albums and tour/stage design). This project stretched over 6 months, and resulted in the release of the “25 Years of Musical Deviance” box set. Only 1000 copies were produced, and they sold out immediately. Inspired by the high demand from fans who couldn’t get their hands on a copy of the box set the first time around, Nuclear Blast will now offer the albums individually on a variety of colored vinyl, in a one-time only limited pressing. 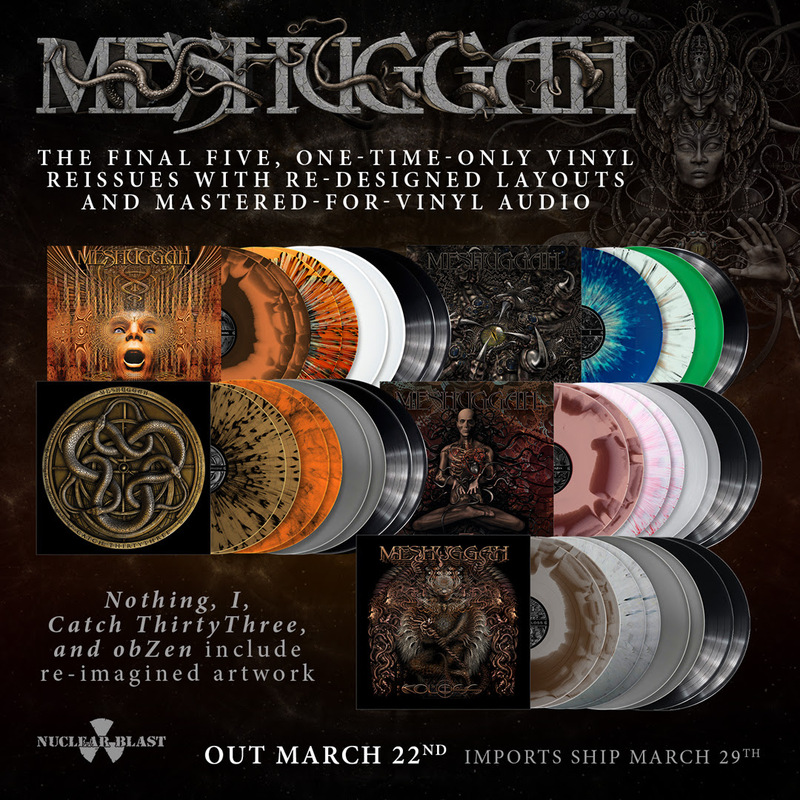 Starting with the first 5 albums: MESHUGGAH, CONTRADICTIONS COLLAPSE, NONE, DESTROY ERASE IMPROVE, and CHAOSPHERE, and set to be released on Nov 30th, 2018. All albums are now remastered especially for vinyl by Thomas Eberger of Stockholm Mastering, who is also coming back into play after having worked with the band on The Violent Sleep of Reason.